The twenty-first century has seen a further dramatic increase in the use of quantitative knowledge for governing social life after its explosion in the 1980s. Indicators and rankings play an increasing role in the way governmental and non-governmental organizations distribute attention, make decisions, and allocate scarce resources. Quantitative knowledge promises to be more objective and straightforward as well as more transparent and open for public debate than qualitative knowledge, thus producing more democratic decision-making. However, we know little about the social processes through which this knowledge is constituted nor its effects. Understanding how such numeric knowledge is produced and used is increasingly important as proliferating technologies of quantification alter modes of knowing in subtle and often unrecognized ways. 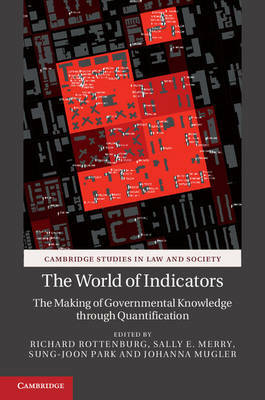 This book explores the implications of the global multiplication of indicators as a specific technology of numeric knowledge production used in governance.